That’s right there is only one more week left to order from the 2014-2015 Annual Stampin’ Up! Catalog and the 2015 Occasions Catalog. One more week to get the deals on the retired list. 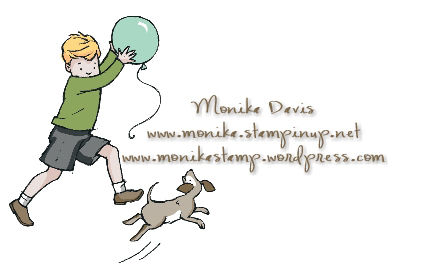 So it’s almost time to say our goodbyes including a big good bye to My Digital Studio – at least to new downloads, software support and the print service through Stampin’ Up!. You can still use your program, add digital content from other sources and print through other services. We have extended the availability date for MyDigitalStudio.net, the digital download manager, and our MDS YouTube, Facebook, and Pinterest pages through midnight, June 9, 2015. Demonstrators and customers may call Demonstrator Support for assistance with MDS until Demonstrator Support closes at 7:00 PM (MT) on Tuesday, June 9. Those are most of the changes that I found when comparing the catalogs today. Now on to something crafty….. 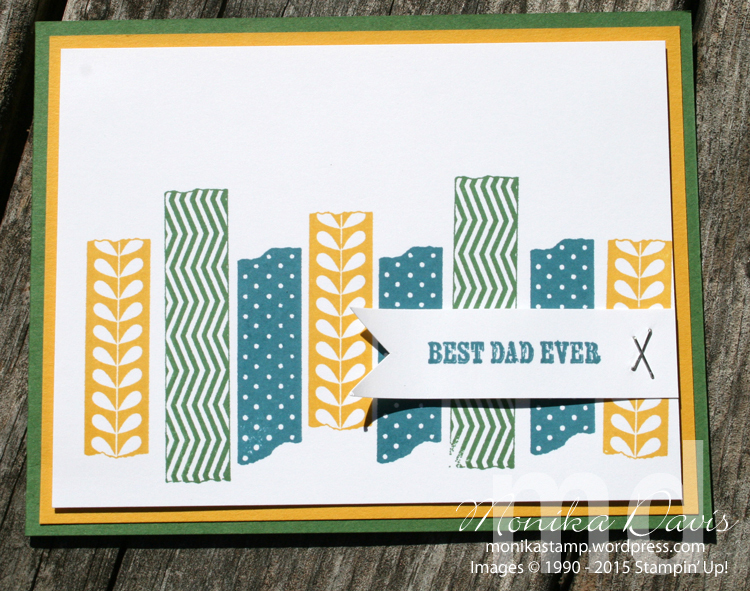 Here is a card that features one of the retiring stamp sets – Tape It. The stamps all look like different pieces of washi tape. The great thing is you can stamp them in any color ink that you want. So now you have “washi tape” in all our our Stampin’ Up! colors! I used the And Many More stamp set to add a greeting to this card which could be used for just about anything. Stamp what you need on a strip of white card stock and staple it to the front of the card. Come back tomorrow for an alternate idea using the stamp set from the May Paper Pumpkin kit. This entry was posted in Cards, Masculine, Paper Pumpkin, Retired List and tagged Monika Davis, Paper Pumpkin, Retired List, Stampin' Up!. Bookmark the permalink.